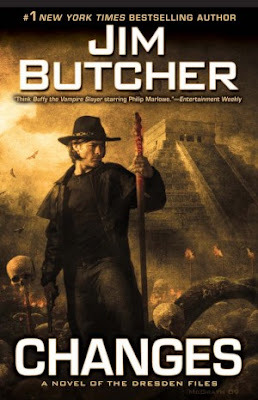 Jim Butcher has posted the cover to the twelfth Harry Dresden novel Changes to his website here. The book releases April 6, 2010. No cover blurb details. Another fabulous Chris McGrath cover. Oh I love that! Wonderful art!! Wendy a new Dresden books is always something to look forward to. The years wait in between books is hell. I was wondering the other day when I saw the title if this was a Dresden files series book or another of the Dresden graphic novel books. I cannot keep the two different types straight as far as titles go. Maybe I'm missing something but oh well. 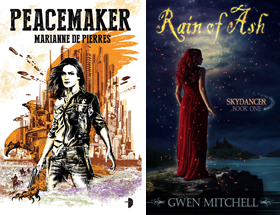 I'm only up to the third book on this series; maybe I ought to pursue it as my next back-to-back series extravaganza. Another great Dresden cover - I love the temple in the background. KMont a series extravaganza sounds pretty interesting - LOL you would only have 8 books to read between now and the release of Changes. Michelle I wonder if Harry is off to South America. Vickie it would be interesting to see them work some of the other characters into the cover too. I'd love to see artist impressions of Murphy et al. I wonder with every cover why there's a hat on Harry's head. He specifically says he doesn't wear a hat but feels like he should in almost every book. Oh, it does look great! Huge fan of Jim Butcher here, can't wait to try this one! I agree the wait between his book is hard to take. Have you try his Codex Alera series? Stormist I wonder if that is some kind of Jim Butcher in joke. Anyone know? Dottie I love that time of year cuz that's when the new Dresden and Harrison and Harris come out within a few weeks of one another. As for the Codex I've read the first two but not managed to keep up since then. One of these days. I answered the phone, and Susan Rodriguez said, "They've taken our daughter." Sam thanks for pointing that out. Talk about a surprise. WOW!